Wilmot’s has enjoyed a long-term vendor relationship with Graber, an exemplary manufacturer, and innovator of window treatments. From rustic to ultra-modern, wood blinds can add warmth and beauty to your living spaces. Wood can take on a variety of paint and stain colors which will set the tone and carry an esthetic theme from room to room. 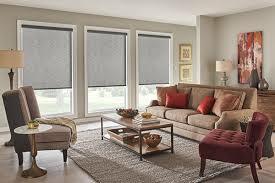 CrystalPleat® Cellular Shades are a stylish way to boost energy efficiency. With soft, luxurious fabrics folded into honeycomb-shaped cells, these exceptional shades form an attractive barrier that insulates windows and helps regulate the temperature inside. Graber Roman Shades allow you to add volume and soft folds of exquisite fabrics to any room. With so many fabric and style options, you’ll take your space from so-so to sensational just by incorporating your flair. If window shades are what you desire, we carry a full complement of styles and colors from Porter Preston which we will cut to size.